UW-Madison Memorial Union Phase II – Westphal & Co. 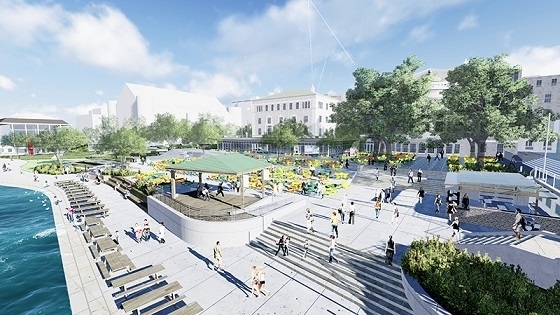 This is the second phase of the Wisconsin Union Redevelopment project on the University of Wisconsin – Madison campus. The project consists of renovations to 120,000 square feet on the east half of the Memorial Union and surrounding Terrace on Lake Mendota, including a 26,500 square foot addition of an underground loading dock and tunnel to the building. The new Alumni Park will also be added during this phase. Our scope of work includes upgrading the electrical service with new medium voltage switchgear and feeders, new light fixtures, refurbishing historical light fixtures, a new lighting control system and stage lighting, new site lighting, renovated kitchens, and upgraded fire alarm system, and lightning protection.